Cass Tech High School has tapped two decorated alumni to fill its boys’ and girls’ varsity basketball head coaching positions. Steve Hall, a former Detroit Public School League coaching veteran who won Class D state titles at Rogers in 2003, 2004 and 2005 and coached Northwestern to the 2008 PSL title, succeeds David Dixon as the Technicians’ boys’ varsity head coach. He will also be the school’s new athletic coordinator. 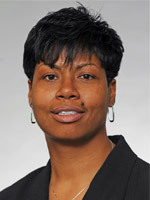 The new girls’ varsity head coach is LaTonya Tate, who formerly was a college assistant coach at Detroit Mercy, Illinois-Chicago and Eastern Michigan. She succeeds Marissa Thrower-Fisher. Both Hall and Tate were standout players in high school and college. A consensus All-State player at Cass Tech, Hall was the state of Michigan’s top prep scorer with 30.7 points per game in 1988 and was named Detroit high school player of the year by both the Detroit News and Detroit Free Press. Hall, 44, began his collegiate playing career at the University of Washington in 1989 and was a two-year starter, earning Pac-10 Conference All-Freshman honorable mention. Hall also started two seasons after transferring to Virginia Tech, leading the Hokies in made three-pointers, three-point percentage and three-pointers in a game as a junior. He averaged 26.7 points during a three-year professional career that included stops in Brazil, the Philippines, Australia and Switzerland. A graduate of Virginia Tech with a degree in communications and marketing, Hall earned his master’s degree in sports administration from Wayne State in 1998. As a high school head coach, Hall was named coach of the year by both the News and Free Press after guiding Northwestern to its first PSL title in 30 years. He was also named coach of the year by the News in 2002 and 2005 and the Basketball Coaches Association of Michigan coach of the year in 2003 and 2004. He has been an assistant coach at Youngstown State since 2012 and held the same position at Duquesne from 2008-2011. Tate most recently was Eastern Michigan’s assistant/associate head coach from 2007-2012 after serving two stints as assistant coach at Detroit Mercy from 2004-2007 and from 1995-97. She was also an assistant coach at Illinois-Chicago from 1997-2001, a graduate assistant at Syracuse from 1995-1996 and a part-time assistant coach at Kansas State from 1994-1995. As a player, Tate earned All-State honors at Cass Tech in 1988 after earning All-American honorable mention, an All-State Dream Team selection and finishing runner-up for the state’s Miss Basketball award as a junior. Tate was a standout collegian at Iowa where she was team captain for the Hawkeyes in 1991-92 and played on three Big Ten Conference championship teams under then head coach Vivian Stringer. She also played in four NCAA postseason tournaments and completed her bachelor’s degree at Iowa in 1992.